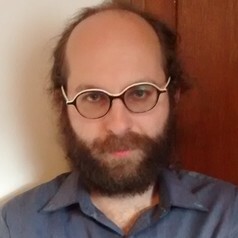 Lev Bromberg is a PhD candidate at the Melbourne Law School. His research focuses on exploring the key deficiencies within the animal welfare regulatory framework as it applies to farm animals in Australia. Prior to commencing his PhD, Lev held the role of research fellow at the Centre of Corporate Law and Securities Regulation. His research, which encompassed policy, empirical and legal aspects, focused on the enforcement of corporate law, financial regulation, and personal insolvency. Lev holds Law (Hons) and Commerce degrees from Monash University. Prior to joining Melbourne Law School, Lev worked for several years at the Australian Competition and Consumer Commission (ACCC), where his primary focus was in the areas of economic regulation and regulatory policy.